When compared to many other religions, Buddhists have somewhat unique philosophies. 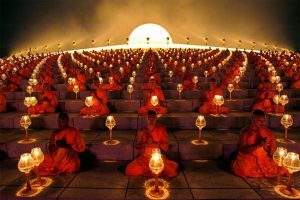 If you will be attending a Buddhist funeral, it would be beneficial and perhaps advisable to learn some of their traditions. Or, you may only wish to learn about this area of their culture, which is quite interesting. 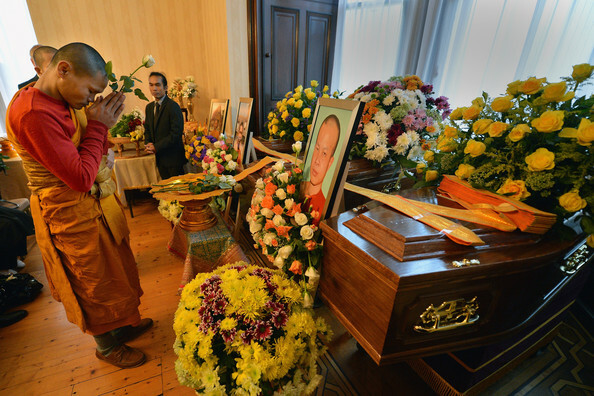 There is an abundance of information about Buddhist funerals traditions. We have made an effort to touch on some of the main points of interest to guide you in your purpose. Their views on death and dying, cremation practices, rituals, and traditions pertaining to death, will be explained. In addition, we will explain what is involved in a Buddhist funeral, including what to wear, the wake, prayers, readings, and chants. Their mourning rituals and a few dos and don’ts are included as well. Buddhists who reside in different countries and sects can have dissimilar beliefs from one another. For that reason, we will attempt to give a general overview. However, in some instances, the differences may be noted. 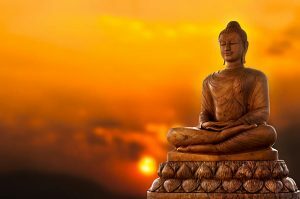 Regardless, they do not believe those differences influence the spirit of the departed, because Buddha holds the soul after death. 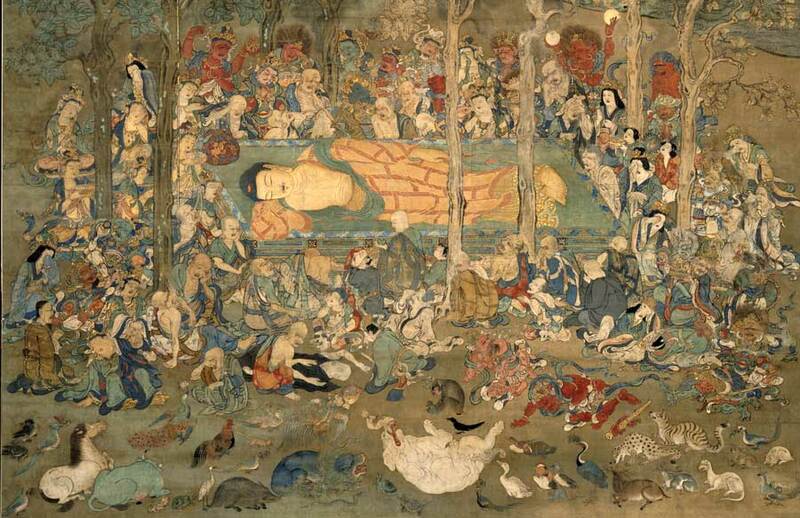 All Buddhists believe that death is not the end, but only an end to the body they presently inhabit. The spirit still remains and will carry on in another realm. 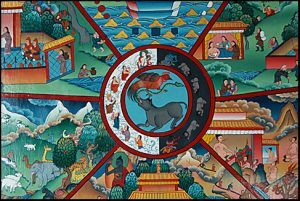 This life and death cycle is known as Samsara. The ultimate goal is to reach enlightenment and escape Samsara. Therefore, they teach not to fear death, because it leads them to their rebirth. The new life they are given depends on the manner in which he or she lived their previous lives. The accumulation of their good and bad actions is referred to as the Law of Karma or the Buddhist version of reincarnation. 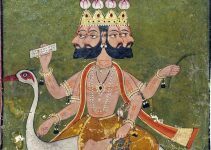 DEVA-GATI – Gods. Heavenly beings who live a long life of power and wealth, but without compassion or wisdom. They will be reborn into one of the other realms. ASURA-GATI – Titans. Strong and powerful, but impatient and envious. They have no tolerance for the inferior. People who want to be superior to others may go to this realm. PRETA-GATI – Hungry ghosts. Beings with huge, but empty stomachs. They have tiny mouths and a neck that is too thin to swallow. They are compulsive, obsessive, and live with insatiable hunger. People who are addictive and obsessive may go here. NARAKA-GATI – Hell. Angry beings who attack those who attempt to show them kindness. Aggressive and angry people could go to this realm. TIRYAGYONI-GATI – Animal. Beings who are stupid and complacent. Ignorant people who have no desire to change, would be apt to go to this realm. MANUSYA-GATI – Human. The only realm where you can escape Samsara and become enlightened. However, very few see or realize it. If death is imminent, a monk or family and friends, pray and chant from Buddhist scriptures. It should continue as death occurs, being the last thing the dying person hears as they die. It enables them to be in the right state of mind to leave their present body and peacefully travel to their rebirth. After death, the family must be careful not to touch or move the deceased. They believe it still takes from three to eight hours for the spirit to depart from the body. They must wait until the body is cool before making any preparations. Even then, it’s important that the body is handled very gently, so not to anger their spirit, which could interfere with the rebirth into a higher realm. The body is cleansed and then dressed in casual clothes that the person would typically wear every day. Many Buddhists choose cremation because Buddha himself was cremated. It is said that after a great number of mourners paid their respects, Buddha’s funeral pyre self-ignited. 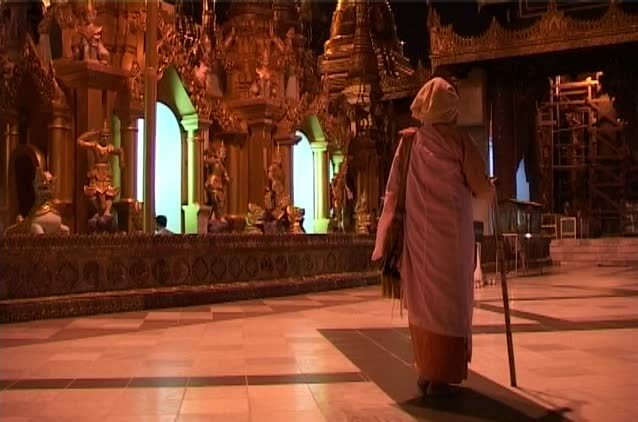 When the body arrives at the crematorium, a monk is sometimes present and leads the chanting. If no monk is available, the family can chant. Frequently, a family member will say a few words about the deceased before the body enters the cremation chamber. The remains must be collected the day after the cremation. They may be scattered, contained for the family, or buried, depending on the desires of the family. 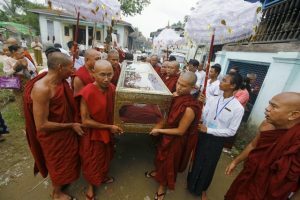 A Buddhist burial is basically the same as with most other religions. After the funeral, the casket is sealed and carried to the hearse. Many times, friends and family members help carry the casket, which is seen as the last act they will ever be able to do for the deceased. After the service, the casket is carried to the hearse or other mode of transportation. If they will only go a short distance, mourners can walk behind the hearse, symbolizing the last journey and send off for the loved one. As they walk, their thoughts should be of the life and good deeds of the departed. There will be chanting at the burial site, led by a monk or family members. The other mourners can also join the chant or sit by quietly. The casket is then lowered into the ground. The funeral can be held in advance of the burial or cremation, or after the cremation has taken place. Either the casket or cremains are positioned at the head of the room with an alter placed nearby. 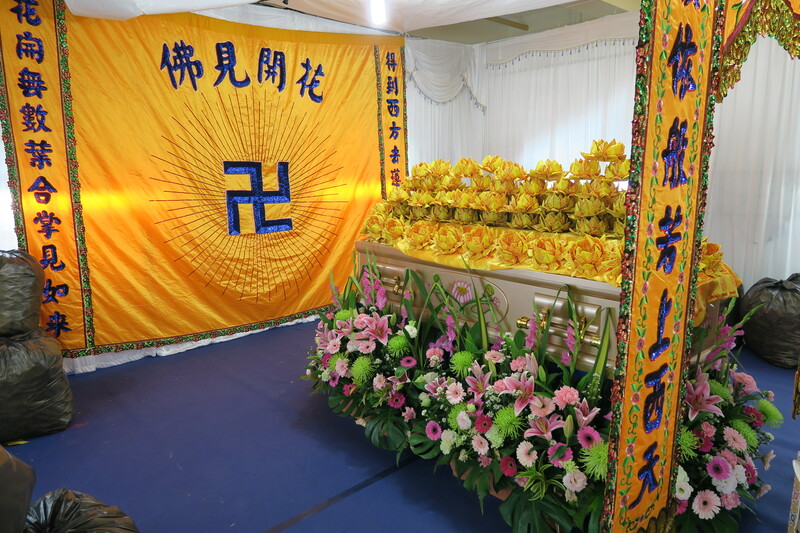 The altar will typically hold a Buddha symbol and a picture of the deceased. The smell of incense and fruit will be present, with the room normally lit by candlelight. The casket is commonly simple and should be above the family’s means. 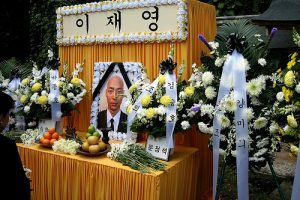 Flowers from mourners will be displayed around it. Upon arriving, mourners should spend a moment at the altar. It’s appropriate to bow your head and have your hands before you and together, as in prayer. If you are not Buddhist, you should not speak with the family before the funeral. Monks sometime perform rites, however the family can do so if no monk is present. Otherwise, an audio recording can be played. Even though Buddhists do not believe that death is the end, it is still acceptable to show grief for the dead. Mourners are sometimes seen with walking sticks that symbolize their need for support due to their grief. Instead of the typical color of black, the family normally wears white. Or, they may cover their clothes with a white cloth. Family will sometimes wear armbands or headbands as well. 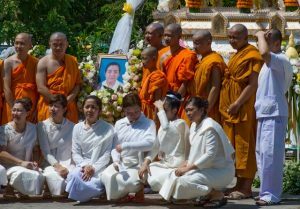 Mourners frequently sit on cushions on the floor and should not sit higher than the monk who is officiating the service. It’s acceptable for men and women to wear casual and comfortable clothing. Women should wear a dress or skirt. Open toe shoes and jewelry are allowed. Men wear white shirts. Neither men nor women are expected to wear any kind of head covering. It is appropriate to bring fruit, flowers, and to rings bells. Donations are typically used toward the expense of the funeral or they are given to a worthy cause in the name of the deceased. There are a large number of chants, readings, and prayers in the Buddhist religion. The family and monk can determine the particular ones for this occasion. The Buddhist religion says that the method in which the service is conducted is not as important as the intention. The purpose is for aiding the deceased on their journey, and not for superstitious reasons or the sake of tradition. The first seven days after death are the most important time for praying, reading, and chanting. It begins before death, if it is known that death is forthcoming. Monks may come to the home or hospital of the dying person and chant verses such as the one below. and indeed this body too wears out. Buddha has many names. The dying person is encouraged to repeatedly say one of the names. If they are unable, someone else should quietly speak it into his or her ear. At the time of death, the family begin wailing. This is to express sorrow and to alert the community that the death has occurred. 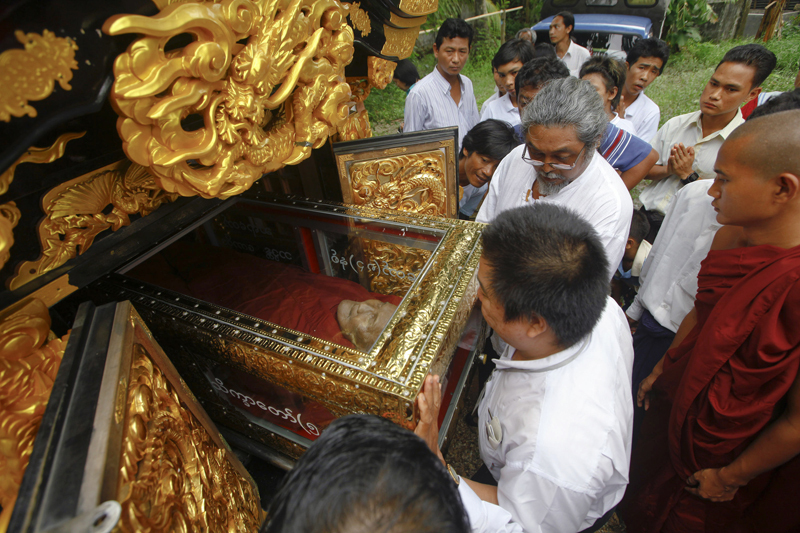 Before the cremation or burial, the “going for refuge” of the Three Jewels may be chanted. During the funeral procession on route to the place of burial or cremation, the mourners may say the following prayer. If there is to be a wake, the body may or may not be embalmed. Either is acceptable. It is usually held in the home of the deceased or at a funeral home. Above all, the room will be extremely quiet and serene. The casket is kept open throughout the wake. As with the funeral, the casket will be situated at the head of the room with an alter close to the head of the deceased. The altar will hold a semblance of Buddha and also a picture of the deceased. In addition, it will have incense and sometimes fruit and candlelight. Buddhist mourning periods vary greatly, but are usually simple events where friends and family gather for prayer. In some areas, the third, seventh, forty-ninth, and the one hundredth day are customary for having mourning services. In other areas, they hold three ceremonies, which occur within two days, within five days, and then around seven days after the funeral. However, the particular dates are not critical and can be flexible and can be held on the days that are convenient for the family. The most important factor is that friends and family come together to have a spiritual experience and give support to the family of the deceased. 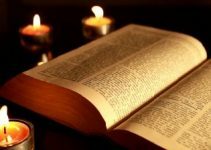 The most important rituals are to perform “dana”, followed by “merit transference”, meaning to give good energy to the departed so they will quickly be reborn into the realm of happiness. It is preferable that rituals for the dead are performed in the presence of family and friends and not as a private event. Having a gathering of people who are praying for the departed, will aid in a positive rebirth. In most cases, there is no set period for the family to return to work, however, returning to social matters are usually restricted for 90 days. Kamidana-fuji – A shrine in the home that keeps it pure for 35 days after death. Kitamakura – A ritual of pointing the head of the deceased toward the north or west. Kichu-fuda – Notifying others of the death by hanging an announcement on the door. It’s difficult to pinpoint certain customs concerning Buddhist funeral tradition, due the extensive variations between countries and sects. The most important factor to remember concerning the death of a Buddhist, is to aid them in reaching the highest plateau possible in their next incarnation. Our aim is to guide you in whatever role you play in their journey.